Actress Katherine Langford arrives at the GLSEN Respect Awards at the Beverly Wilshire Four Seasons Hotel on October 19, 2018 in Beverly Hills, California. 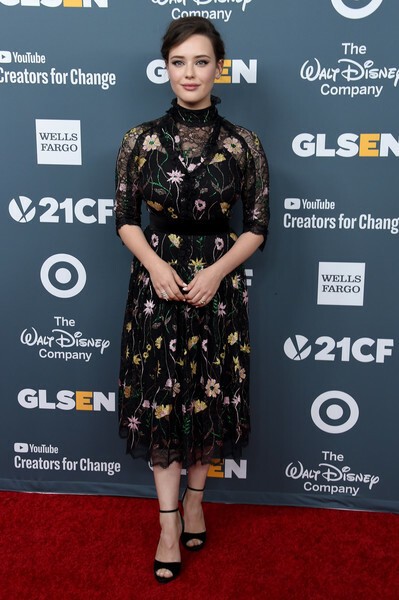 Katherine Langford was demure in a floral lace midi dress by Giambattista Valli at the GLSEN Respect Awards. Katherine Langford completed her outfit with black ankle-strap peep-toes by Jimmy Choo.